Unpacking the Erin Condren 2014 – 2015 Life Planner! So today is one of my FAVORITE days of the year. Which is really saying something since I’m still in my sweats, haven’t left the house and managed to burn a batch of cookies this morning. 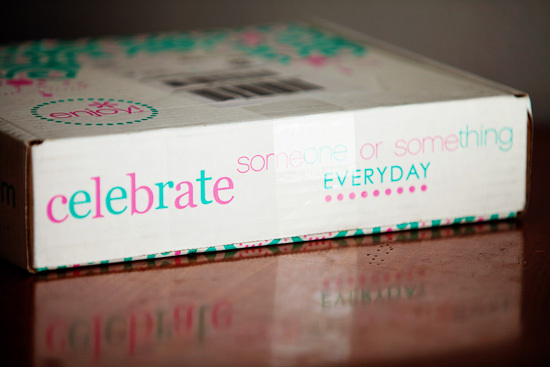 The day the new Erin Condren planner is delivered to my house is always a big deal around here. Even my husband knew exactly what the ridiculously huge smile on my face was for when he walked in the door (and was relieved that I would no longer anxiously be checking the FedEx Tracking every half hour). When someone first told me about this planner and I heard about it’s $50-75 price tag I was intrigued and scared. I have a love affair with organizers and office supplies – but I have never once ventured over the $20 range for a day planner. What was so different about this one? Why would it be worth more than double what I usually spend? After watching tons of videos about it and reading all the blog posts I could find (and there are a ton, women are HUGE fans of this planner) I was sold. I bought mine. It changed my life. And now I’m telling you about why I love my Erin Condren Life Planner. If you end up deciding to order your own after reading this – you can do so using this link and save $10 off your Life Planner (and well, you’ll earn me a $10 credit as well!). 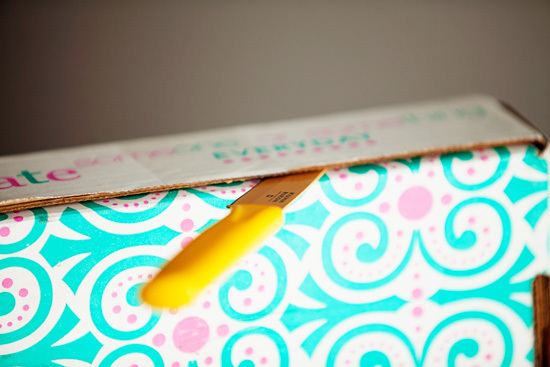 Click here for Katie Mooney’s Erin Condren Referral Code!!!! Even the box is beautiful and exciting! I actually ran out to meet the mail man. He said he had delivered the same kind of box to another lady a few hours earlier and she was equally giddy over receiving it! And finally! A glimpse at what I will be carefully and lovingly hauling around with me for the next 18 months! It’s laminated covers and heavy duty coil mean that it can take a pretty serious beating – but I still treat mine carefully. I even write on the inside cover that there is a $20 reward if found and returned to me in case I lose it! I ordered one of the special foil planners this year (I did not last year). And while I’m not sure there’s anything special or different enough about it to require anyone to buy it, all the sparkly extra details do make me pretty happy. I do love shiny things! Here’s the sparkly silver elastic band holding it shut. I have a few more cute “headbands” I’ve purchased over the last year that hold my planner shut perfectly – but this new silver one is now my new favorite. I chose to order a planner with the remainder of 2014 and all of 2015 in it. I really love 18 month planners when I can choose them. It is awesome getting to look so far ahead (especially since in my business I book weddings and events so far into the future). Plus, I keep detailed notes throughout the year on the things that happen in our lives, the major purchases we make, etc so when we need to look back to reference something, we can! This shows some of the special detailing of this “foil” planner. The shimmery silver foil inlay is gorgeous and I really do appreciate it’s fanciness. Plus, this sparkly polka dot vellum sheet is just a little extra joy when you open your planner. Gorgeous designs, colorful printing and inspirational quotes litter this planner throughout. At the very beginning is a layout of July 2014 – December 2015. Which is awesome when you need to quickly reference which day of the week October 5, 2015 is. It’s a Monday. And also my birthday. Just in case you were wondering. These are the monthly page layouts. On these pages I write one-liners about events that are happening. “Mom’s birthday.” “Shooting Duran Wedding.” “Dave Matthews Band Concert.” Etc. And these are the weekly planners. Here I write all the details of the things happening in my life. I also use these pages as a meal planner, workout tracker, weight tracker, shopping list, to do list and so much more. I also reward myself at the end of each day with symbolic stickers for different accomplishments. It may seem childish, but it really does encourage me and motivate me to get done what I need to. There are quite a few sheets of lined paper in the back for note taking. When I got my first planner I kind of bummed out on these thinking I would never use them and they added needless bulk. Totally not true! I ended up using almost all of the note pages. At the back of the planner is a quick reference for 2016-2017 months. These are the stickers that come inside every planner with some basic items on them. This year, instead of the perpetual calendar being printed inside the planner, it was included as a separate booklet that can be kept in the folder inside the planner or stored separately. Since I don’t really use this, I was grateful it was included as a separate piece so I can just leave it out of my planner entirely. This is one of my favorite aspects of the Erin Condren Life Planner – the Keep It Together folder! It has pockets on both sides and holds a ton of stuff – but somehow, I’m sure magic is involved, it doesn’t get bulky. Obsessed!!!! There is also a clear vinyl zipper pocket in the back that I use to hold my daily reward stickers and sometimes receipts, tickets, etc. These are the custom stickers I ordered from Erin Condren with some of my specific needs. You can also order more unique ones from many Etsy shops, but I love the ones from ErinCondren.com the most! Here’s my planner from this last year sitting on top of my new one. ErinCondren.com has a HUGE selection of different covers you can choose from. I loved my customized cover featuring some of my favorite photos last year, but this year I wanted something more elegant. However, the BEST feature of the New 2014 Erin Condren Life Planner: easily removable and interchangeable covers. So you can have a new one whenever you feel like! Now that I’m done writing this I get to transfer everything from last year (birthdays, anniversaries, etc) on to my new planner. And I. Cannot. Wait. I have all my pens, stickers and washi tape laid out all over my kitchen table. Which has been laid out since 8 a..m. this morning just waiting for the FedEx guy to arrive. If you decide to order your very own Erin Condren life planner – please consider signing up and ordering from THIS LINK THAT SAVES YOU $10 ON YOUR ORDER and also earns me $10 in credit! © 2019 TheRockStudio|ProPhoto Blogsite Coronado by The Shoreline Collection | Designed with love by Seaside Creative.